Happy Easter, everyone, and I hope you're having a good spring so far! What are you guys doing for Easter this year? You should go back and watch them. They're...something else, for sure! They really and honestly represent peek 2007 KH fandom, I believe. Oh God. Dan I feel so old now. I watched these all the time when I was a wee bab. Oh, wow! I had no idea this was here, and even after all this time, this topic is still kicking! That's really cool! Here is a photo of me from not too long ago. This is back in January, and honestly, I haven't changed my look much, so this is still pretty accurate. I've been in the KH fandom for a really, really long time, and as I was looking through all of my old things from that time period (and good Lord do I regret most of it), I came upon a lot of one damn thing that I hadn't seen in eons. SaixPuppy. I saw a comic on it and I'm sure that I just got nostalgic whiplash so hard I think I've gotta head to the hospital down the street and get a brace put around my neck. And then I also remembered that Roxel existed as well, the lovechild between Roxas and Axel, and I remember seeing a lot of stuff about him as well back on DeviantART and the like. I also heavily remembered a lot of YouTube videos as well, such as The Stupid Files (good God) and Demyx Time (which I still guiltily have a love for, if I'm being honest). Do you guys remember anything from when you first joined the Kingdom Hearts fandom that you think back on now fondly...or not so fondly? I had learned Japanese too, but I wasn't good at it and couldn't keep up with it very well. (See college story above; that was during my first ever Japanese class.) Even though I don't take any classes for it anymore, I still wanna keep up with Spanish, too! I really do love learning languages, even if I'm not really good at it. Something in my brain just doesn't click. Learning languages can be tough, but also fun, too! Which language would you most like to sit down and learn? And no worries, you're not in a rush or anything to learn it by the end of the semester of college/university and you're not being tested and you don't have to warn your professor that you're slow at learning languages but she doesn't care and just keeps on going at the regular pace and won't help you find a tutor even though you asked for help like five times and no I'm not salty what are you talking about? Who Would You Like To See For Our Next AMA? The funny part is that I actually just watched Buns yesterday-- I didn't even really think about it, but you're right, I like the idea of Buns coming here, too! I'll mention it next time we have an AMA! Quiz: What are Demyx's Water Clones Weak To In KH2? Demyx's water clones, to put it bluntly, are bogus. However, despite using the Magnet spell set to help defeat the clones, there is something else that can be used as well! What's that one spell that packs a major punch to Demyx's water clones? Square/Enix is well known for creating Kingdom Hearts and the Final Fantasy series, but they've made more than just those two game series! What are your other favorites, and why? What Do You Think Will Happen On KH's Anniversary? Kingdom Hearts' anniversary is coming upon us really quickly! Do you guys think anything is going to be shown to us? Let us know what you guys think! Since Tai Yasue, the co-director of the Kingdom Hearts series, is going to the Game Developers Conference, what are you hoping to hear from him? Hello there! My name is Delenn Deszcz, and I would like to apply for the job of working on the social team! If it's unavailable, I'm able to make graphics as well. 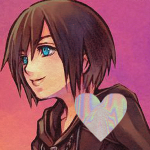 I would like to join because I love Kingdom Hearts, and would love to work around it. It would be a fun thing to do, and I would love to interact with other fans. Below are three things I have created and worked hard on, and would love to share with you.